The Antiques & Interiors Centre opened on the 2nd May in Holt 2014, Norfolk with spaces to rent. Located 2 minutes from the historic Georgian town centre of Holt in North Norfolk, the big barn at Candlestick Lane, Thornage Road, Holt, NR25 6SU is now an exciting new antiques and interiors centre. Many dealers of vintage, antique and interior furnishers/designers have now taken a section in our new centre, which has filled up rapidly with a wonderful range of items. As time goes by and the Holt Antiques & Interiors Centre becomes increasingly popular and established we will continue to ensure the highest possible footfall to make this a very successful venture for all involved. An antiques centre website will be created to advertise the location to attract customers from all over the UK. Floor spaces and cabinets may be available to rent so please contact us but if nothing is free we can add you to a waiting list. 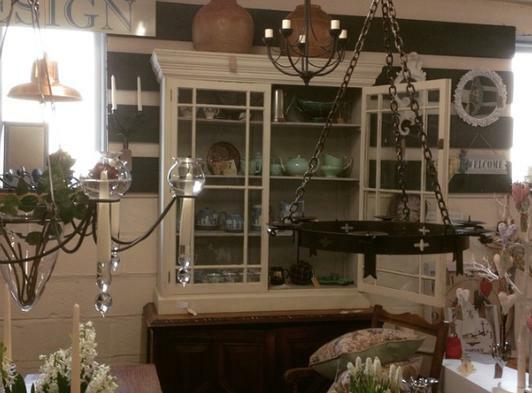 Shoppers will find country house interiors, antiques, collectables, french, vintage and industrial items.